This story is about child abuse, fear, loneliness and hope so going through the few child photos I had, this one struck me as being the one that spoke out and said the most without any enhancements. It was decided upon and worked with what color used by myself, Douglas Adkins, Linda Hales and Shiloh Schroeder. I am not surpirsed that this cover was one of the top four winners. How could it not win with such emotion on a visual level followed by good writing and more emotion witnin its pages. This cover deserved to win. I found it unforgettable. It resonates inside you after you’ve seen it. I keep seeing that little girl beside the river. This cover is a most worthy winner. I’m so glad that viewers chose it. It’s the kind of cover that stays with you after you’ve seen it and resonates inside you. This is a wonderful cover, and congrats on the win..I, too, have authored a memoir about being abused, mainly as a piano prodigy in South Africa and really enjoyed being featured recently on this wonderful bookgoodies. However, none of my childhood pictures reflected such pathos as yours, so I opted for a cover of me at the piano. But you’re inspiring me to go back to the box of photos and see what I can find. I also like your website, something I need to create as well. Mostly, I admire the work you seem to be doing on behalf of the abused. Mazeltov again. Congratulations. What’s even more amazing is that you did the cover yourself from your own life pictures. You deserve success. Congratulations on being brave enough to tell your difficult story. I love the cover of the book and have just started reading it. You have a wonderful flair for the written word Rosemary and I wish you success not only with this book, but with the following books to come. Have a great year!!!!! Thank you Brenda. I appreciate your support. Thank you Stacey. It was a difficult decision selecting a book cover for this story and I’m thankful you feel this way and have supported my cover. I like this cover because it’s simple and a nice photograph. Thank you Laurana. I am happy you like my cover and hope t speaks to you as well. Good luck, Rosemary! I hope you win. I will do what I can to get the word out. Take care! Thank you Stephen. Your message to me about my cover effects are so appreciated. This is a remarkable cover that truly tells the story. The child’s portrayal of sadness and loneliness is a sure sign of the pain of child abuse. This is the author’s personal story and she tells all. This is a story that needed to be told and the cover jut breaks my heart. Mary Firmin. Hello Mary. Thank you so much for the vote of confidence. I’m truly sorry the cover breaks your heart but so happy to know it speaks to you. This is the one photo I was able to study and see clearly many of those earlier and painful memories. This cover really sets the mood for the touching story within. Thank you Sandy. I appreciate your comment and ask that you Share the links that BookGoodies has above-Facebook, Twitter and Pinterest. I see a child dreaming about a better future. The book cover grabs my attention and makes me want to find out more about her. Thank you Barbara. Every glance or each person interested helps us grow closer to drawing awareness for child abuse which needs to stop. I’m happy you are attracted to my cover! I love her cover – it really makes you wonder what is inside – enough to open and read it. Thank you Doug. I appreciate your opinion and happy to know you have read my book and likely understand the pain this child had to overcome to live her life as a productive adult. A beautiful cover made by an absolutely wonderful woman! I have not read this book, but this cover makes me want to read it. The girl looks deep in thought. I really want to know what she is thinking. She looks very lonely. I look forward to getting to know Mamie better. Hello Vickie. Thank you for taking the time to express your thoughts about my cover and expressing a desire to read it. I was very lonely as I had to stand alone when my older brother was not around or being abused himself. Having read and given this book a 5 star review, I can truthfully say that the cover depicts so much of what the story portrays. I actually stand this book up on my bookcase so I can see the photograph when passing by. I never get tired of looking at it, partly because it is a cover that evokes a sense of peace in spite of the troubles this prescious little one stoically bears for al of her childhood and much of her life. Thank you Micki for such a grand comment. The fact you care enough about this child’s pain to display it on your bookcase addresses a lot about who you really are. I’m happy you get so much from the cover and you find peace in the very same place where I have found it my entire life. Too bad there weren’t people like you around in the 50-60’s when I needed so much for anyone to care. A great book cover reminding us that every child deserves to grow up without fear. Ken, thank you for returning to comment and share. Every child does deserve to grow up without fear but when being abused fear is the largest emotion you have. I do remember the day this photo was taken and I was very afraid and likely I was reflecting back on the day and how I could face what laid ahead. We were crabbing in this photo on the canal behind the beach house along the coast in Galveston, Texas. Great Book. An important look at child abuse and how spirit can rise above it. Thank you for the kind words Clayton. If you don’t allow your spirit to be broken, it’s easy to rise above it. Well, not easy but but again if one never gives up you can make the most of any situation. I know that no child is equipped to think that way but when you look at the cover, you have to wonder if Mamie is not thinking about how to keep from loosing her spirit. Thank you Jon for returning to make your comment again. Rosemary’s cover depicts the loneliness of the child yet being by the water the little girl finds peace away from her horrific life. The photo and the cover are excellent to depict Rosemary’s plight. Thank you too Becky for commenting. My plight in life has been a message of never giving up. And you too are correct, I was very lonely. No one would reach out to help me and it left me feeling empty and afraid but made me strong as an adult. Thank you for finding that message in my cover. I so support and respect Ms. Rosemary in this endeavor to tell such a personal story to help as many others as possible ! Thank you Louise for sharing your comment and for letting me know how much you liked my cover. At first a few criticized me for using a an actual photograph for the cover but later felt it had been the right choice. I’ve read the book. It is a horrific story, and I think the cover captures perfectly the innocence of childhood that was stolen from Mamie. Thank you Trish. This cover to me had to speak of the innocence of the child within the pages of my book but wanted them to also see that there may have been a conflict. People use to say to me that I had sad eyes and thats is part of why I selected this photograph for the cover. Thank you again for sharing this as well. There are a number of books about childhood abuse that I read recently. All have a sad story to tell. “Reflections of Mamie” is one of the best. It’s inspirational and gives hope. I wish that lots of victims read it to draw strength from it. Hello Siggy. Thank you for taking the time to express your opinion. When writing my book, deciding on the over was not the easiest part! I did not want any victims to feel lost or think there had been no hope and thank you for seeing that while there was pain, victims can draw on the hope that follows within the pages. The cover for Reflections of Mamie communicates so much about the isolation of an abused child. Good work on the part of those who pulled the cover together. Thank you Delinda for commenting. It was a long process on how to decide how to present this cover using this photograph but the three other people that helped me decide how to present this cover unanimously decided to leave it as natural as possible. This book cover by Rosemary ‘Mamie’ Adkins is one of those rare covers that draws the potentail reader to it. It stands alone as a poignant lovely photograph reflecting the musings of a seemingly lonely little girl who finds solace in the soft ripples of the river.Does she come here to daydream of a better lfie? Is she running away from troubles way too large for her young mind and soul? These are questions that this cover invokes in the reader making it near impossible not to buy this book to find the answers. Micki, thank you for commenting with what was obviously written with much thought. I’m glad the photograph on the cover drew you in and you were interested in getting those answers for yourself. I have always looked at a cover before reading anything if given a choice. I felt the cover for my book or anyone’s should give you an idea of what’s inside. It was a struggle to find the right one but this one spoke to me as it seems to do for others. I’ve always felt that Reflections of Mamie: A Story of Survival has an extraordinary cover that suggests the pain and emotional trauma of a young girl. My heart goes out to this little one who needed her Mother’s love more than she needed anything else in life. This cover says it all! Thank you Linda for commenting. You are most definitely correct about needing my mother love. I craved it so much, I was willing to endure the pain to get it. There were few pictures of me as a child but this one was my choice for the cover even over illustrated ones because I wanted people to see for themselves the truth. I felt that was possible with this photograph. This is such a perfect cover for Mamie’s powerful story of abuse and I do hope it wins because her message to Never Give Up is such an important one. Thank you Martha. I am so happy that you see that message. It is one I say so much to so many that I talk to. It seems very few three word phrases say as much but “I Love You” and Never Give Up” share the message in many ways. This cover again, to me felt it reflected a girl that would fight to survive. This is a great, memorable book that fits its evocative cover. The book, a biography, reminds me of Frost’s poem “The Road Not Taken.” So often as I read this book, I felt that events could have turned out differently and the author’s life could have been different in the end. And yet perhaps Mamie’s life unfolded the way it was meant to. Who can say? Either way, I urge readers to purchase and read this book and to reflect upon its contents and cover. Bittersweet and unforgettable, this biography should not be missed. A biography worth reading. So many suffer child abuse and I am hopeful readers will find answers and most of all understanding. John, there were many ways my life could have turned out and many ways it did go before finding my own self. At least the person I wanted to be. Many mistakes made while trying to find myself so thats why I selected this cover. I felt it reflected some of the pain being felt yet it did show some question as to a future. “Wow! A picture that says it all. A young girl sat by the river, all alone, deep in thought as she ponders. A river is so often symbolic of life, and as life flows by we see a girl who looks back on the sadness of abuse she has known, perhaps wondering where there can be a future of hope in her life. And thank you again Jon for making the statement about hope. Abused children or adults and even animals we all need to feel there is hope. I tried to reflect that in the cover there sits a child in great distress perhaps pondering what was to come next. Hello Monica, I see there was no reply button with your nme so I hope you see this through Jon’s comment. Thank you for the support of your comment. I am in hopes that readers will find understanding that especially small children and animals need you to reach out-to recognize their pain as often if not always they are so afraid to speak of for themselves or don’t know how. A true story of survival. A great example of hope for many who have suffered child abuse. Thank you for your comment. When I wrote this book t took so many years to get it right. There seemingly appeared to be no hope but as time passed, I realized there was and had always been hope. I was a dreamer and master (I thought) of escape so there was always that hope of survival if I never gave up or refused to give in. I see you have commented on my behalf and appreciate the support. The photo on the cover touches my heart, just as you have in so many ways. Lisa thank you so much for voting and sharing on social medias. Your support means a lot to me. I know you have mch on your plate but to stop and comment is special. Impressively simple. You have my vote. Thank you so much for the vote. I need these votes to win and knowing it is received well is huge for me in itself. I wanted it to be simple and tell you this little girl was in trouble needing help and had no one. I love the cover. Makes me want to be sitting there also. If the cover is this good, the book must be great. Yves, thank you for returning to vote. I hope you also shared as it is part of the contest by sharing votes. Your continued support is much appreciated and it would have been nice to have company as I sat by the waters edge. I love this cover. You can’t look at the little girl in the photo and not wonder what she is thinking. So appropriate for the book. Dave thank you for your comment, vote and for sharing. This contest is important and has allowed me to hear the voices of those around me sharing their thoughts of how this cover effects them or about reading it. Tara, to become whole, one that has been abused must first look that demon in the eyes and then share their story. It’s how I healed and how I moved forward. Thank you for the comment and sharing this contest for me on the share buttons above. This cover definitely makes me want to open the book and find out more about this child. It perfectly matches the story told within too. This is a book I won’t forget. Hello Sandra. Thank you for returning to make a comment and share on social medias. Your support is needed and appreciated. It is comforting thought to know you feel the cover accurately reflects the story. Survivor books abound out there, but none come close to Mamie Adkins’, a book worth, not only reading, but treasuring! Thank you again Sal. I am glad you treasure my book and loved the cover as well. I have been ask by some where they share this to vote so I will use your comment to reply-the share buttons are at the top right side for Facebook, Twitter and Pinterest. The rules say it can be shared more than once during the month of August. Your support again is much appreciated, I will be sure to let you know as soon as I hear the results. Sal, I strongly recommend these people at BookGoodies as trustworthy people to work with for promotions. My experience has been all positive. When I first saw this picture I immediately thought of how she must enjoy the peace and tranquility of water. After reading the book I looked back at the picture of Mamie and realized how it was not just a place to come and relax but an escape that probably helped keep Mamie alive in the worst of her days. And I loved the book. It was a difficult subject made easier by the threads of hope and someday escape. Thanks Dianne. Reflections is exactly what I did as a child looking at my life and plotting on ways to get out of it. You now reflecting back at the photograph after reading it, makes me smile knowing I made the right choice. Thank you too for sharing it on all the medias. Also thank you for loving the four legged creatures and rescuing them daily in your own life. The cover: once seen, never forgotten. The book: once read, never forgotten. Bryan, How nice to know I or my book will never be forgotten. Thank you for commenting and sharing this contest so I stand a chance to win. It will mean a great deal in terns of helping others become survivors. This book deserved to be a finalist because the cover simply pulled me in, and I am so glad because the book did not disappoint. Hello and thank you T.R. for both voting and have read my book. Thank you as well for sharing this contest so others will see it as well. Stuart thank you again for returning to vote. Your vote and sharing mean a lot but your support means it all. If only I had known half of the people then as I do now maybe someone could or would have rescued me. The cover photo conveys a sense of loneliness and isolation, yet the determined, or is it stubborn expression on young Mamie’s face let’s the observer realize that this youngster is going to fight like hell to overcome her burdens and carve a beautiful, fulfilling life for herself. Way to go, Mamie. Hello Peter and thank you for such words of encouragement. Your support has meant a lot to me over time and your opinion the same. Thank you for taking the time to vote and share this contest with others. This is a book that has helped me to understand more about what someone goes through in an abuse situation. I appreciate and admire Mamie for having the courage and strength to over come and share. This book should be read by all. Thank you Cathy. First for reading my book and for coming here to support my cover for the contest. I know from your comments written to me before you loved the cover and I thank you for that as well. I had written the book for the purpose of helping others so it pleases me to know it helped you and or others in some way. I love this cover because Mamie’s story is about surviving abuse, and this cover seems to show us a glimpse of Mamie as a child, realizing she cannot let the present moment break her because life is a river – she is contemplating that river, and realizes that in time it will take her into her future, washing away her pain. It’s a beautiful cover filled with metaphor, and even more so because it’s an actual photograph. Thank you Tyler for the words you express. Knowing about your profession, this comment means a lot to me. Your time to support me with this contest by commenting and sharing are much appreciated. This is one of the most sensitive and touching books I’ve had the privilege of reading. Thank you Susan. And again for writing to me expressing how much you lvdd my cover. Your support with the comment and sharing the contest is much appreciated. It appears my earlier comment was not posted, so I’ll try to rewrite what I wrote before. I love the cover of this book. I’ve also read this book and highly recommend it. The cover photo is perfect for this book. It shows a child alone and in thought about her living situation. She’s thinking about why her mother is so abusive and no one helps her. She’s thinking of how to escape. She feels alone in her world and probably is finding some solace on the edge of this river. Thank you for your support and sorry you had to post more than once. You are perfectly correct about this photo. Alone, afraid and abused with no where to turn is exactly what was on my mmd. I was a dreamer and schemer so I suspect that was also on my mind and how to escape. Great book. I would recommend it to anyone. Thank you Clayton. This contest is for my cover and your last comment referred to it as supportive of the contents. I thank you for returning to vote and share yet again. Also for sharing on the social medias. The cover is beautiful. It relates a peaceful time for this little girl. It is a beautiful backdrop and the whole picture is just BEAUTIFUL! Lori thank you for commenting and sharing this contest so others will come to support my book and leave their impressions. The water is and was my only place of peace-where I could dream and plan ways to escape. Your cover shows a lonely young girl, which from what I read is you. It seems strange to say that I “enjoyed” reading this story about the degradation that she suffered at the hands of her mother but since I know the author, the part that I enjoyed was learning more about her childhood. I don’t think it’s so much what happens to us as how we interpret it and how we deal with it the rest of our lives that counts. Mamie has reacted to give herself strength and through her life reach out in love and acceptance to others. James thank you for supporting me again. Our friendship has meant a lot to me over the last few years and I won’t forget that it was you who took my hand at Toastmasters so I could find my courage to speak. It’s ok to say you enjoyed the story or book and I know what you mean by it. The cover captures both the innocence of childhood and the yearning of a child who is feeling things she cannot express. I find it very evocative. Thank you Ken for those words of support. Sadly the innocence of a child is often taken away when forced to live with abuse. It takes not much before knowing that they must learn to stand alone and be strong. Thank you again for the vote and sharing with others. Thank you Carla. I appreciate your vote and opinion with your shares. Reaching out to others is what I want most in life to accomplish so they know you can survive-you can find happiness if you never give up! I love the cover of this book because of its deception; at first glance, it looks like a little girl who is perhaps wishing she could play in the moving water. But it is really a contrast between the flowing river and the still waters that are this sad, uncomprehending little girl. The purple filter also hints at something amiss, a deeper sadness. The cover set just the right mood for settling into my favorite reading spot with a cup of good coffee and a bittersweet story. Hello Anne-thank you for your words of support and voting. Sharing as you have allowing others to vote and see my cover are so appreciated.I do hope you had a great cup of coffee and a soft spot to sit! My favorite place to read is at the waters edge as thats where my peace has always been found. Such a wonderful book cover!! Makes me want to pick it up and read!! Thank you Cynthia for reading my book and loving my cover. Your support is much appreciated. Thank you for this incredible opportunity to have Reflections of Mamie: A Story of Survival become better known allowing us to continue to support charities that assist victims of abuse, children and animals. Both victims need your help and without you, won’t become survivors. Abuse should never happen but it is an epidemic issue worldwide. Please reach out and take my hand so that together we can make a difference. Please begin by voting for this cover so that through recognition, more donations can be made through the sales of this book. Share this everywhere you can so that others will join this war against abuse. Mamie, your cover perfectly reflects the content, and is original as well as thought-provoking. It would certainly draw my attention were I to see it on display. Love, Marta. I so appreciate your comment-vote and share. It is heart warming to know my cover would draw you in giving my story a chance to be heard. I knew I needed a way to capture the inside but had so few photographs as a child-this one just spoke to me and its nice to know it spoke to you and others. Dear Mamie, sorry for my delay. Life has been rather unkind lately. Your book cover is original, thought-provoking, and perfectly in keeping with your story. If I were to see it in a bookstore, I’d no doubt pick up the book and look through it. Love, Marta. This book cover expresses the poignant beauty and sadness of a young child deep in thought. It suggests lonelyness as hse sits by the water in a huge lovely wildreness—but alone with no one to share it with. Thisis one of those covers that sells the book before one opens the first page. Its nice to know that my cover spoke to you and invited you to read the story. Your support is appreciated and welcome. Voting with this comment and sharing is so kind when I know of yo being ill. Take care of yourself and get to know them at BookGoodies-they are a great group to work with. This is a great cover with a far off look of hope in little Mamie’s face. It is a perfect cover for her memoir, which I have enjoyed reading. This well-designed cover hits deep emotions when viewed, as does her story. Thank you Martha for your support and comment. Please be sure to come back and vote should I make the judges cut! The support from the readers and those with compassion to care are the ones that will make a difference and help support the charities fighting abuse. Please feel free to write anytime with any questions. I love the cover because the child, alone on the banks of the water, expresses what I consider the picture of loneliness, the perfect preamble to a memoir worth reading. What a wonderful things seeing you here. Your support means a lot to me in the scheme of things while trying to help raise awareness in order to stop this issues of abuse. You are so right about being alone. Abuse makes one feel as though you have no one or anywhere to hide which is exactly how it was. The cover speaks to me; more so now that I have read this moving tale. Thank you Clayton. It’s reassuring to know that my story moves you and makes you want to help the victims of abuse become survivors and move on in life. Such a deceptively gentle photograph of a little girl whose life is anything but. Something is amiss…the smile does not quite execute and there is a veil of darkness over the subject; it’s not a black veil, but a purple/maroon one. It makes me want to caress the girl’s hair and ask if everything is alright. I know from reading the book, her answer would break my heart. The cover works for me. Anne your perception is so accurate. From the age of four, many heartaches followed and learning to stand alone was one of the toughest to learn. My attitude to Never Give UP and keep smiling fooled some but not others. It was my job to never let on anything was ever wrong. The cover really makes you want to open the book and read it – wondering what is inside. Thank you Doug and I do hope what was inside did not upset you too much. Your support has meant the world to me and I do appreciate it. I hope you will continue to open my books in the future. I love the photo and the choice of fonts and their colours which perfectly capture the feeling of the photo. It immediately gives you an idea for the type of book it is. Stuart designing a over that can help you convince a reader of what lies ahead inside the story in hopes they will read it, is many times difficult-especially for me but when going through the few photographs actually ever taken of myself, this one seem to speak to me about the way things simply were. Then to decide if color should be added or leave it as is (black and white photo) or even yet add the sepia tones to enhance it leaving it all fairly as is. Thank you for sharing your likes about this choice. Love this cover art. It reminds me of a simpler time, perhaps not so long ago, when children played outside and with their flesh-and-blood friends, not virtual contacts over the internet. You are right about children entertaining themselves at this time when the photograph was taken. There was barely TV let alone computers and Game Boy’s. I realize it is the way in todays time but believe children miss a lot from not communicating with each other in person! An important resource for those who are assisting the abused. Thank you Ken. I wrote this book so that others in the same position would learn they are not alone; for those that did not understand abuse; even for the abuser in hopes they would care about how they are impacting the lives of those they abuse. My book with it’s sales also make donations for both children and animals abuse agencies -though I hope it can do much more in time. A nice and compelling cover! I’m looking forward to reading the book. Thank you Yves. Let me know when you are ready to read it and I will be happy to sign it and send it on it’s way. 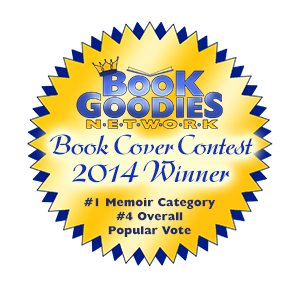 Also, thank you for the support of commenting here on my cover for this contest. Wow! A picture that says it all. A young girl sat by the river, all alone, deep in thought as she ponders. A river is so often symbolic of life, and as life flows by we see a girl who looks back on the sadness of abuse she has known, perhaps wondering where there can be a future of hope in her life. Thanks for a cover that says so much. You are incredible as so many have been here. I spent many hours by the inlet here. The ocean is where I have always found my peace even in a storm. It was difficult as a child not to think about what had just happened or afraid of what would be later. So you are likely correct about looking back on memories of the sadness and abuse wondering if it would ever end-my life or the abuse. Thank you for the support and for reading my book. With you working with the victims of abuse, this is a great honor that you were moved. I wish you well with your efforts of turning victims into survivors. One day I hope to reach out and help you as well. The cover is so evocative of the book’s content: an innocent child, viewing the world with a pensive, melancholy expression. While you can’t judge a book by its cover, the cover should give some hint as to what’s inside. This one does. An excellent use of a cover to set the tone. Thank you Ron. I appreciate the fact that you have read my book and understand what I tried to achieve with this cover and that you feel it works. This is one time judging the book by the cover feels so right! Covers are never an easy decision. I’ve read the book.The story is shocking, but the book is beautifully written. I love the cover. I think it does portray what the book is about. Thank you Trish. I appreciate the fact you have read the book and agree the cover is the right choice for the story. I tried to be sure story had a mix of actual happenings but laced with the positive, hope and dreams. Thank you too for the support. I love this cover! Just amazing! I would buy this! Thank you for the voice of confidence. I appreciate you taking the time to speak out for my cover. This cover is appropriate for this story because it shows the innocence of a little girl so well. I agree that it shows the little girl deep in thought or, perhaps, daydreaming of pleasant things. Things are not good in the home, and this is her “escape” where she can find peace. You are also right about the water being a place where I found peace and still do in times of fear, illness or trauma of whatever kind. Happily I no longer know abuse as a way of life. I am a dreamer and will remain so as it is how many of my realities come true. Thank you for supporting my cover in this contest and leaving this comment. 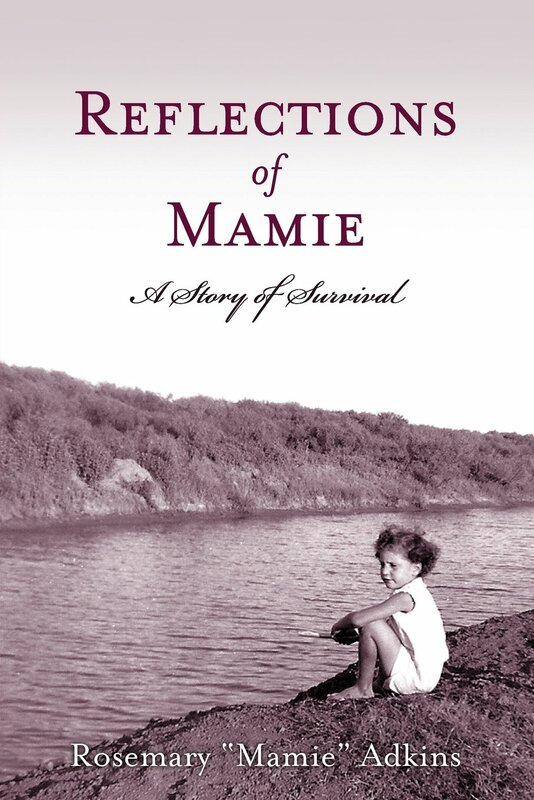 The cover of “Reflections of Mamie: A Story of Survival” is most appropriate and suitable for its storyline. The child in this photo looks rather perplexed, lost and in wonder of the unknown. As a parent of a young female child, I find myself gazing into the depths of the photo longing to reach out to this beautiful child luring her towards me with an intent of nestling her warmly within the security of my bosom. Although this young child may or may not have meaning of the wonderful affects of the ocean view and its soothing sounds, I’m certain she felt the serenity of its place and found it a place of refuge and a way to escape, if only for a short time. Thank you for such a narrative of thoughts many of which are and were part of my life growing up. I am sure I did not know the meaning of why the ocean gave me peace but I was forever seeking ways to get close where hours of wave watching and walking in the sand brought me peace. The information and images are balanced on the cover and the message I receive overall is that of wistfulness/melancholy. That seems appropriate for the purpose! The natural setting seems subdued, but we all know nature can be violent, even as some parents turn violent. The cover looks like a book I would read, although to be quite honest, I am so busy writing that I do not have much time to read. Still, with a scotch at 5pm every day, sitting in the garden and listening to the humming birds at the feeder, I would be captivated by the book. Jacob, you indeed describe well a place of serenity and if you ever think you have the time while enjoying the Scotch, let me know! I have been told that readers stay with it to the end many times not putting it down until finished. I hope they all had a peaceful place as you speak about to read. What a great cover!! Makes me want to read the book! Nice design and is very intriguing. Thank you Cynthia for the comment. This photograph is one of only a few I have as a child and it felt right for the story. I hope you decide to read the book. I think this is a very effective cover. It not only shows a little girl thinking alone by herself, but it suggests the adult she will one day be reflecting on her past life. The picture shows her in lonely isolation, and the words, “A story of survival,” fit in with the river, which like the forces in her life could overwhelm her. John, this body of water could certainly overwhelmed me at any given time but I had to believe someday life would have some glimpse of happiness and a family that loved me. Although I spent much time feeling empty and alone, my older brother (five (5) years older) was my protector when he was able and gave me comfort when wounded. It was a matter of survival if there was to ever be a tomorrow. I love this cover as it depicts the sorrow and heartbreak that the little girl is experiencing. It is authentic because it is a pic of the author as a child after her daily abusive experience from her mother. Her only peace was found near the water. The rose tinted sepia color reflects her femininity and sensitivity oh so well. Linda, thank you for believing in me. The support you have given me over time has been a treasure in my life. Together with your support and others, the right sepia tones we all found finally came to a place where I was happy to own it as my representation for this journey in my life. Thank you too for the support here. I see isolation, pain, undeserved suffering, but also hope. If that is what the book is about, it is a perfect cover. Bryan, you are correct. My book is about the journey in my life of fear, loneliness, abuse but one of hope and dreams. I tried to be sure to share hope in my book so it was not all about suffering. I have to grab this book just for the picture. I could not critique this cover but would add that it truely captures a little girl deep in thought. Perhaps wondering how she can handle her situation or what her future will be. Just my guess. Thank you for the comments about this photograph. It seems I was always deep in thought because I always dreamt of ways to escape.